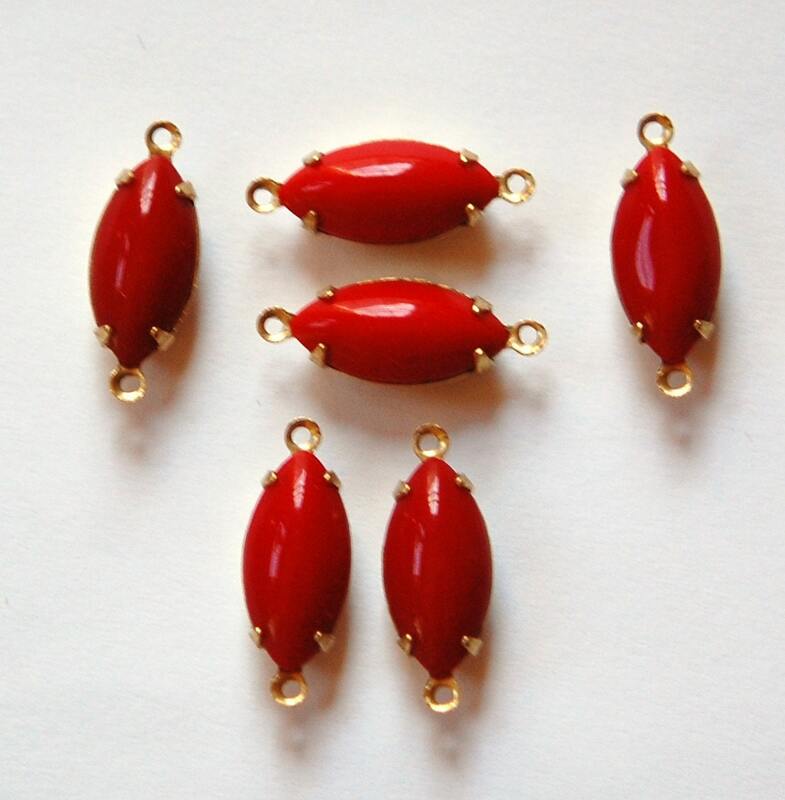 These are vintage glass stones that are set in a two loop brass setting. The stones measure 15x7mm. You will receive 6 of these. gorgeous as always thank you ! !